…well, about half a podcast. I’m not 100% sure if I’m happy with it, so I may toss it and have another go when I’ve listened to it tomorrow – mostly just being out of practice and working without notes, which for some reason didn’t work out as well as it usually does. Wow. Talk about ambitious. It’s an 80+ year, 400+ page campaign book that basically takes three generations of PCs from about the time of the birth of Arthur till the last battle with Mordred, at roughly a session per campaign year. Obviously it’s based on the Geoffrey of Monmouth / Malory / Tennyson Arthurian myth, which makes it not much use as a reference for Dux, but it is just a stunning piece of work. 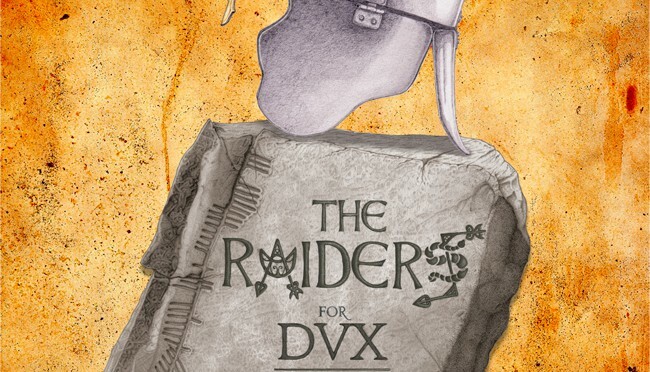 Which sets me to idly wondering… would the Dux setting work for an RPG? Or does the fact that everyone playing in that kind of setting probably wants and expects ‘real’ magic rather spoil it?